Anyone familiar with the area? There's a club mistral but looking for a place to stay for 5 days 4 adults. June is not the best time for wind, better spring or fall. but you may be lucky with the thermic wind if you can rent big gear. Other ways there is Leucate right after the french border, it's the windiest spot in the region, good flat water condition and lots of places to rent gear. Watch out, costa brava gets real crowded in summer. Always good to hear from someone who really knows! From what galateo suggests, it sounds like the local thermal winds in Leucate work better than most places around -- even in June. If you're lucky, you can get up there! Perpignan is the wind sensor on iWindsurf just south of Leucate. Actual wind on the water will certainly be quite a bit higher, but this station gives some indication of conditions. thanks for links to Leucate. Can you provide link to archives for June last year for the Bay of Roses? I got my tickets to Barcelona, now need to plan trip, Bay of Roses is only 30 mins from Leucate. Ps looks like big sails, however area seems to have lots of sightseeing opportunities. I have never sailed at Roses, stupidly passing it by on my frequent trips to Tarifa. I was told it is great and there is a chance for decent wind year-round. Windstats appear to be misleading, since many meters in the area seem to located in areas that are very protected from the prevailing wind. max, feuser is right that many of these public wind sensors on iWindsurf's Spain and France maps are placed in less than optimal locations, usually by government authorities in the local counties. By looking at a few sensors, you can often see a pattern when the wind is good, but certainly you cannot know exactly what the wind is blowing from many of these numbers. Still, some of them are purely excellent. It takes some time to learn which are really good. That's why back home in North America, iWindsurf builds and installs their own wind sensors. Public wind data is often just OK or poor, so iWindsurf's premium ones (the ones in yellow on the USA/Canada/Mexico/DR maps) are usually the best ones to look at -- where available. Thanks for input. The info you provided and Feuser has been helpful. I went on the Spanish forum and did a little research. Though the wind has little chance of being 4 to 5.0 it does seem reliable for some wind. May even get lucky with some Tamarante winds and hit 4.0 winds. A short trip to France, Leucate also offers some opportunities. Now I am trying to find an appealling "studio" type sleeping arrangements in some interesting community. The surroundings seem to have more appeal for no wind activities than Tarifa. 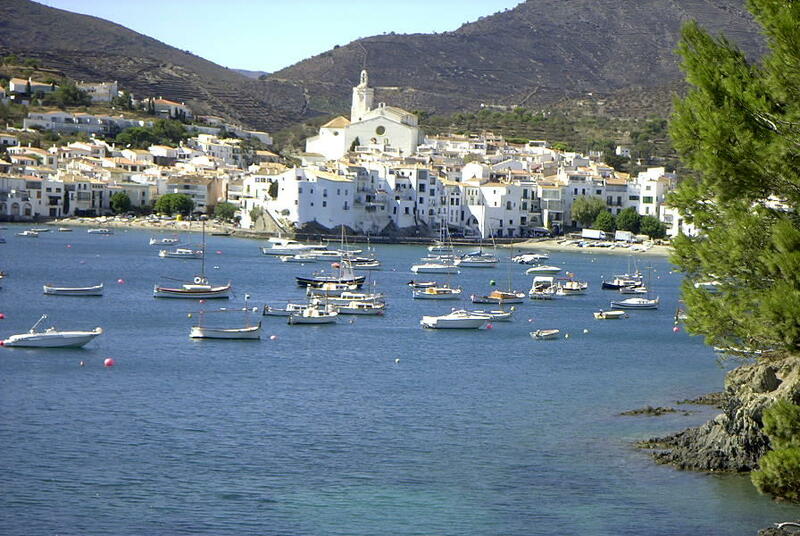 I grew up in Barcelona and I spent the summers in Cadaques (10 miles north of Roses) my whole life. In the summer, the best is to sail at Sant Pere Pescador with southern thermal winds. If you are lucky, you may have some days of North (Tramuntana / Mistral), if so, you will probably have to go to Leucate (offshore) or Port de la Selva (onshore), as in the summer it rearely reaches the Gulf of Roses. However, if it does, you can sail in Sant Marti d'Empuries (in front of the Roman archeological site or in Pals (both wavesailing). or ouside of the bay.... my backyard. The wind here is onshore, but there is plenty of boat traffic and you will be rescued if you break something. in the summer, we sail 50 % of the days.